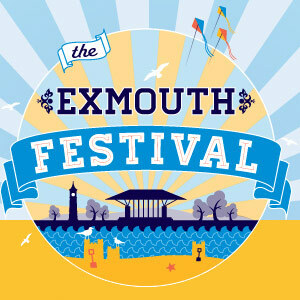 Exmouth Festival is an eight day music and arts festival that is held in Exmouth every summer, and has done so for the last 18 years. The musical line-up usually includes a range of styles and genres, including jazz, blues, folk reggae and pop/rock, resulting in there being something on offer for everyone, whatever their age. The main venue is Manor Gardens, but there are a wide range of ‘fringe’ events held at a variety of venues around the town. As well as the music at the festival, there is a wide range of arts and craft displays, shows, events and workshops, including poetry, painting, pottery and dance, as well as some more unusual activities, such as ukulele playing, creative fabrics design and sing and sign sessions, once again offering something to do for all members of the family. Although the main festival runs for eight days, the festival continues throughout the summer through a diverse range of summer events and the Sunday Summer Sessions, where you can see live music at Manor Gardens every Sunday afternoon during summer.